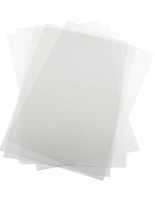 2" x 8" 3" x 6" 6" x 6" 8.5" x 11"
A complete Do-It-Yourself Printing kit! 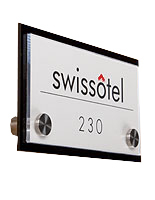 These changeable office signs can be mounted to a wall or door to allow employees and/or visitors to easily locate destinations in the workplace. 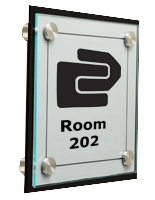 A message, name or a building directory can be printed and inserted between the acrylic plates using the do-it-yourself system. 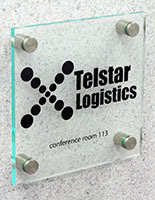 The wall mounting office signs include 2 types of film; clear and frosted, for laser printers only. 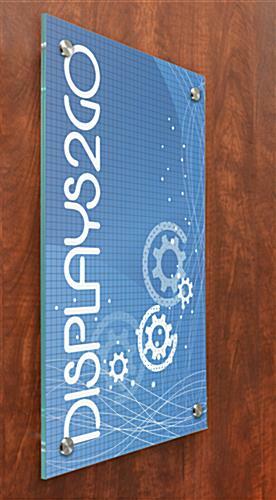 The display boards can be designed using the available templates. 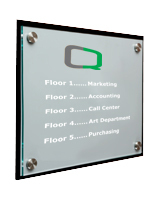 The office signs are mounted with four stainless steel standoffs. 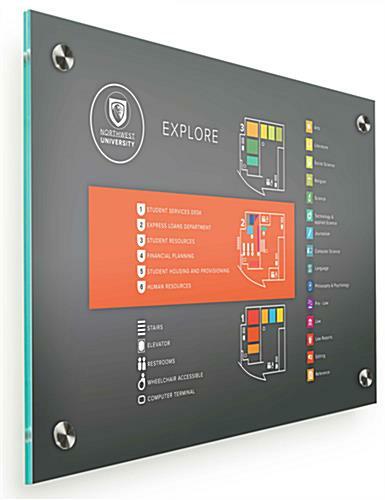 The signage can be printed in color or B&W. 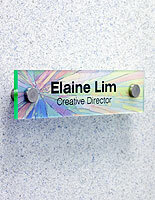 Stylish nameplates are perfect for enhancing any business setting. 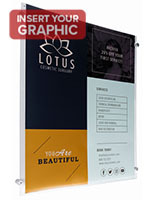 11.0" x 15.0" x 1.0"
This sign is well designed and fit our needs perfectly. We will be ordering again soon. 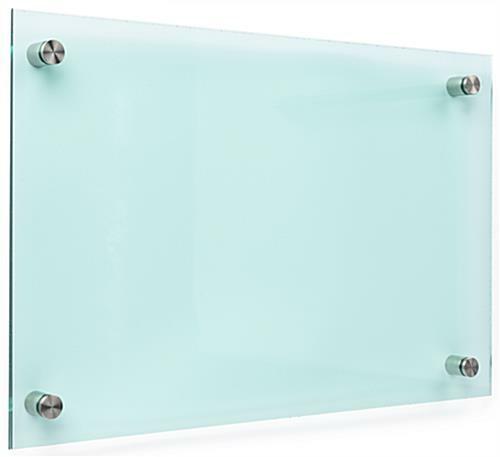 I am completely impressed that an affordable "do it yourself" version of an etched glass sign could turn out looking so professional and custom made. 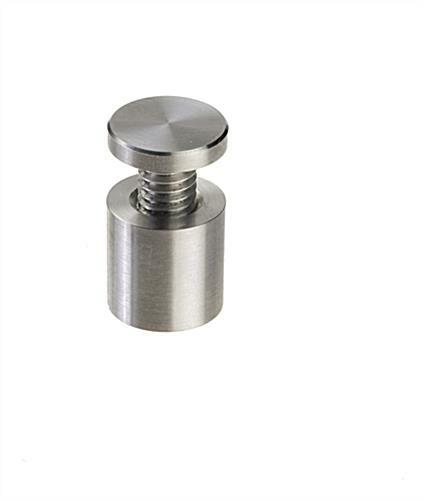 Everything you need comes with the package and it could not be easier to do. We were able to put Velcro tabs on the back "knobs" and attach it to a bulletin board type cube wall. It looks amazing and we get compliments on it daily. I am thinking of places where we could use more!! So easy! 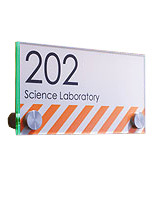 I needed these sign holders in a hurry and took a chance in ordering because they were out of stock. Customer service at Displays2Go was extraordinary in every way. And -- hooray -- the holders arrived just in time. They are gorgeous. Well packaged. Super product. These make a nice display for our branches. They are high quality, I wish they came without the film sheets. 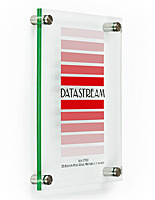 good product, easy to use, looks nice! We're glad to hear that you're satisfied with your purchase, Christina!